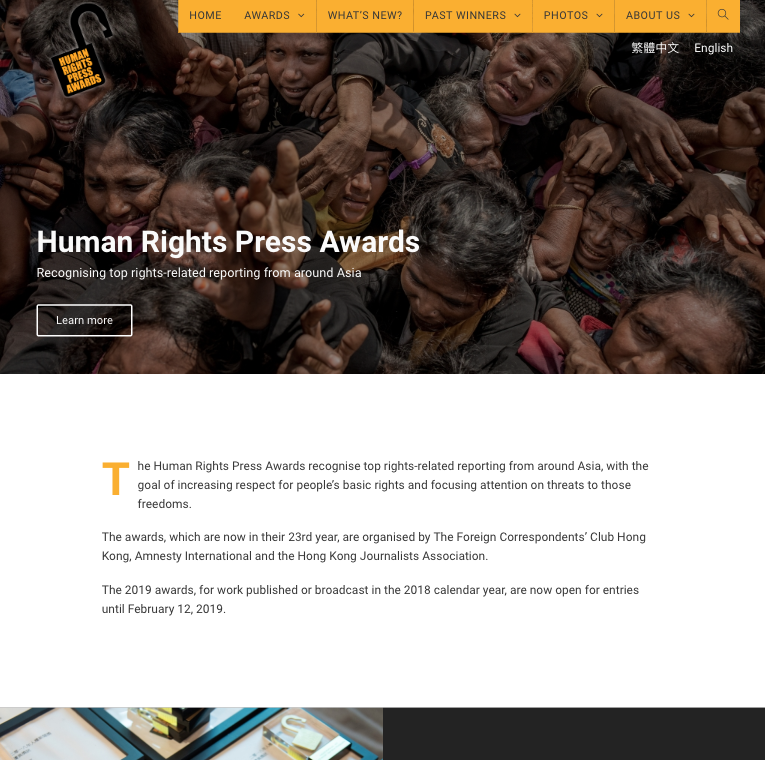 Human Rights Press Awards has been successfully displaying their winners for many years, but it was time to update the design and bring more structure to the content. It was also important to make it a multi-language site, available in both English and Traditional Chinese. The major focus on this project, because it needed to be accomplished quickly (within around 3 weeks) was to focus on employing a new Page Builder called Elementor and an accompanying theme OceanWP. With the exception of the translations, all of the content already existed, but much of it needed to be shifted around. We created custom post fields for the Winning entries and for the Judges, which provided better support for management and translation of this content. We also worked with Stan Diers, a free-lance Hong Kong designer, to bring some careful design to the site. We were pleased with the result. Stan did an excellent job with very little time. With sites like this, there is always room to develop and grow. We imagine that HRPA will continue to feature the wonderful work of these journalists profiling important human rights issues in Asia.